From 14 to 440 horsepower, Yanmar is a power density leader in the industry. 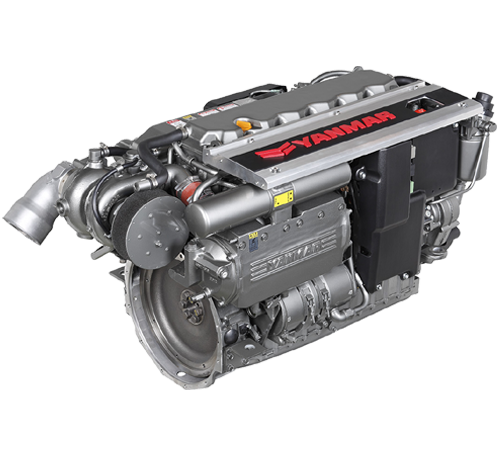 Yanmar marine offers engines and accessories for all types of boats from sportboats, sailboats, and cruisers. For light duty commercial applications, check out the Tier 3 8LV engine in 320 and 350 MHP at 3800 RPM and the common rail 6LY in 400 and 440 MHP at 3300 RPM. Both are available for jet and prop applications. The 8LV is also compatible with sterndrive applications.